This blog has gotten many new subscribers recently, and I thought it might be useful for me to give a short description of what this blog is all about. It has several purposes. Writing this blog…. …gives me a little more incentive to be on the look-out for new resources — and pushes me to be a little more creative in my thinking about how to use them — so that I can be a better teacher with my English Language Learner students. i should point out, however, that most — if not all — of the resources I write about can be used effectively with non-ELL students, too (that also goes for the 9,000 categorized links on my website). …allows me to share resources that non-techy people like me can actually use. Many people would be surprised at how limited my technical abilities are (to give you an idea, when Sue Waters ran an Edublogs webinar with Elluminate on how to use Facebook using my Facebook page as the “guinea pig,” she rightfully insisted that Alice Mercer be in the same room with me so I could accurately figure out how to access Elluminate). If I can’t figure out how to use an application in a minute or two, I won’t write about it or use it. …provides me with a forum to clarify my thinking about the on-going classroom management challenges (see What Do You Do When You’re Having A Bad Day At School?) faced by me, and many other teachers in inner-city urban schools (and probably in many other schools, too). …helps me develop connections with a broader Personal Learning Network than I would otherwise have. Writing the What Do You Do? series has been great, with scores of educators sharing their experiences; connecting with teachers of English Language Learners from throughout the world through our International Sister Classes Project and learning from their stories has been a gift; and it’s a privilege to virtually “meet” so many other teachers with wisdom to offer. …gives me an arena where I can share my thoughts on a progressive vision of school reform. …offers me additional writing opportunities on issues I have a particular passion about. These opportunities have also included two upcoming books being published by Linworth Publishing, both connecting my nineteen-year community organizing career with my five-year teaching career. 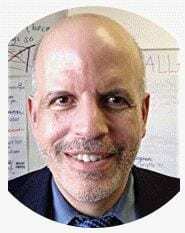 One is titled Building Parent Engagement in Schools and the is tentatively titled Organizing To Teach and Learn: The Art Of Teaching English Language Learners. Writing this post helped me to further clarify my purposes for writing this blog. I hope it helped you learn a little more about the blog, and a little more about me. I am so pleased to read that you have had a serious uptick in readership. You deserve it. 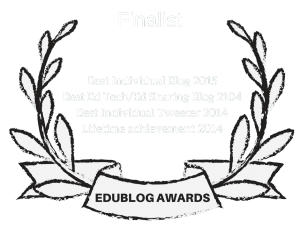 Your work in ELL, EFL, following current events, history and things Web 2.0 is awesome. It’s actually very lovely after all this time of reading your blog to find out why you write it! You always surprise me by how much you are able to share and how quickly. I’m a quick reader but a really slow writer and will never be able to do as much as you can – which is one of the reasons why I love tossing people on over your way! Thanks again for everything you do for all of us. Larry, as you well know you and Jennifer Dorman were two inspirations that got me into blogging about on a regular basis (w/ a different format – Blogger). Before that I used to just blog off of Apple’s server (very mundane in Tiger) and do some movie/book/music reviews for friends on my old family website (Joomla). Plus, I love all the challenges (aka questions) you ask your readers in case they can figure something out or apply it a different way. I try to use video in my blogs as much as possible due to my passion for screen casting/video editing. You’re writing is precise, easy to follow, and very informative which allows teachers to explore different ways to use technology. Thanks for all you do. I don’t know how you find the time to do it. As a classroom teacher I am always checking out your blog for new ideas to use with my kids. Just to let you know, if not of another purpose, then another outcome of your blog, Larry. I use it to fuel my passion for literacy tools that parents can use to encourage their kids to read, write and communicate. I very much appreciate your time and expertise.